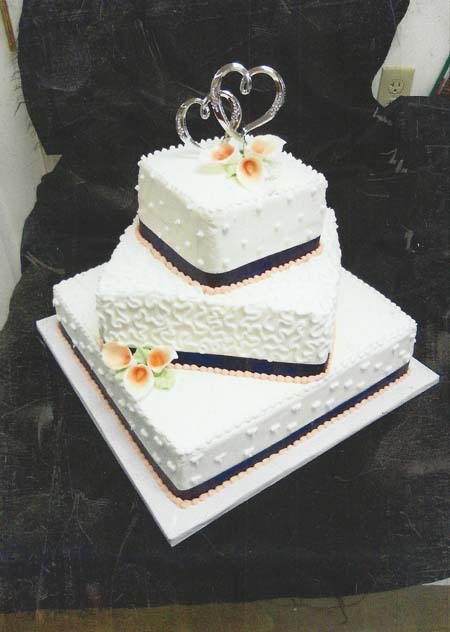 Since 1984, Sweet Tooth Bakery has earned the reputation of the area’s foremost creator of cakes, especially wedding cakes. We love what we do and are anxious to create your wedding cake. We encourage you to bring pictures of designs you like and look thru our numerous albums and publications. As you see pictures, keep in mind that sizes, shapes, colors and set-up can be changed and ideas can be mixed from several cakes. Traditional, whimsical, unique – we can do most anything! 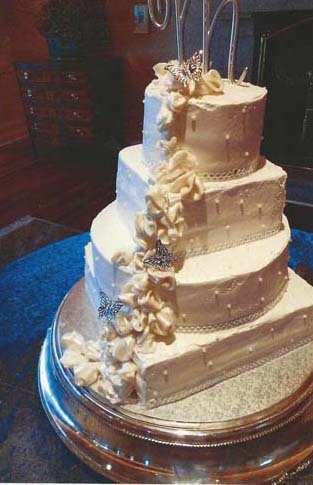 Our experience and artistry will make your cake the highlight of the reception. Although most of our wedding cakes are prepared with our “famous” buttercream icing, we also do fondant, cream cheese, chocolate buttercream, ganache and whipped icing. Prices start at $1.60 per serving for the most basic, and most designs are now averaging $2.25 - $2.50 per serving. Price is determined when we go over design, flavors, fillings, etc. See our flavors page for ideas. 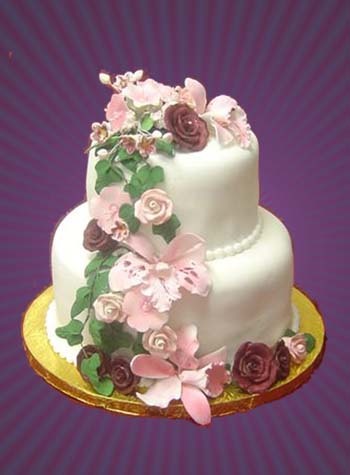 We can deliver and set up your cake for an additional charge ($25 for Winchester). Depending on the date, we will travel about a 50 mile radius and will charge according to distance/time. We have several special stands for sale or rent for cakes and cupcakes. 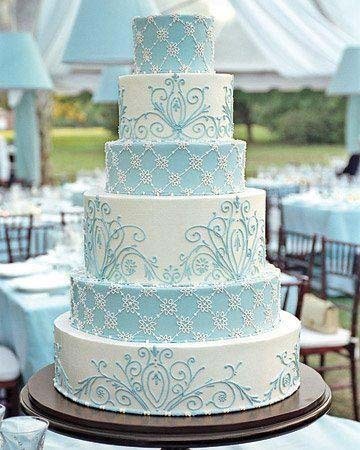 Depending on the design, your cake will usually look even better elevated. Our shelves are stocked with dozens of cake toppers, and we can order many theme-related toppers so help your local business by letting us order for you! We have or can get Harley Davidson toppers, monogram letters in many sizes and styles (gold, silver, or brushed silver with or without crystals), comical toppers, and modern or traditional bride and groom toppers. When given enough time, we will add your topper to our order and not charge you shipping and handling. Consider a groom’s cake, too! 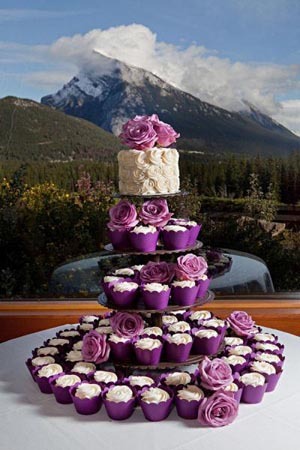 This is a cake to complement the wedding cake in the groom’s favorite flavor or a design of personal interest to him – hunting, college team, occupation, hobby, etc. It should be served on a separate table near the wedding cake and can be kept a secret until reception arrival. * Jordan almonds in many colors. * Serving knife sets & toasting glasses. * Personalized gift boxes for favors (let guest fill their own from “candy bar!”). * Melting chocolate and candy molds to make your own chocolates and mints. * Fountain chocolate (high quality chocolate that works best with fountain). You can come by any time to look at our books and toppers, but it is best to make an appointment once you are ready to get into detail and/or place an order. Tastings are possible when arranged several days in advance if you’re not already familiar with our wonderful cake and filling flavors and delicious icing! We look forward to working with you. © 2013 - The Sweet Tooth Bakery, Inc.